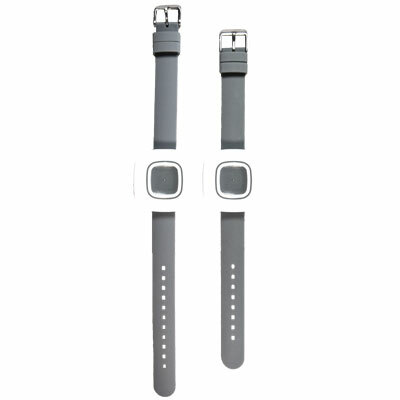 LOUISVILLE, Colo., June 4, 2018 – Inovonics, an industry leader in high-performance wireless sensor networks, announces the release of its new EN7581 TapWatch gateway lite, and version 1.2.0 of the TapWatch application. Supporting 50 transmitters and repeaters, the TapWatch gateway lite is ideal for smaller residential or light commercial properties..
LOUISVILLE, Colo., May 22, 2018 – Inovonics, an industry leader in high-performance wireless sensor networks, is proud to announce that the United States Patent and Trademark Office recently awarded Inovonics two design patents for its EN1221S-60 family of senior living pendants. Launched in September 2015, the EN1221S-60 pendant is 60%. LOUISVILLE, Colo., April 6, 2018 – Inovonics, an industry leader in high-performance wireless sensor networks, announces that they’ll be exhibiting at the 2018 International Security Conference & Exposition (ISC) West show at booth location #6065. ISC West is the largest security industry trade show with over 30,000 security professionals. * Inovonics. LOUISVILLE, Colo., March 30, 2018 – Inovonics, an industry leader in high-performance wireless sensor networks, announces the release of its new EN7580 TapWatch Gateway and TapWatch Cloud, providing multifamily housing (MFH) property owners and utility billing companies with the reliability of Inovonics submetering hardware and the anytime, anywhere access of. 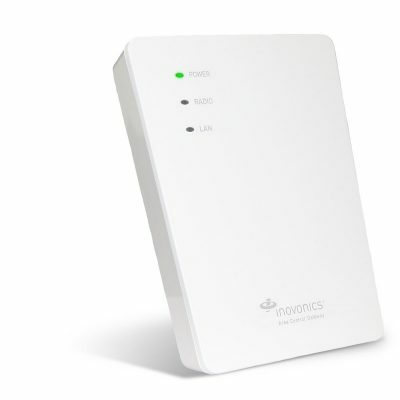 LOUISVILLE, Colo., January 4, 2018 – Inovonics, an industry leader in high-performance wireless sensor networks for life safety applications, announces the release of its new EN1245 Wireless CO Detector. 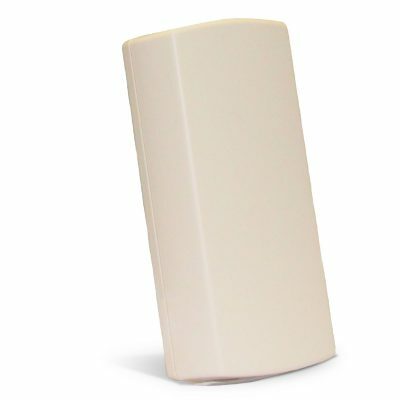 The new CO detector addresses a market need by meeting the UL 2075 (Gas and Vapor Detectors and Sensors) and California. LOUISVILLE, Colo., October 10, 2017 – OPTEX, a global leader in indoor and outdoor security sensors, and Inovonics, an industry leader in high-performance wireless sensor networks for life safety applications, proudly announce that the OPTEX iSeries Wireless Photobeam Detectors, powered by Inovonics wireless technology, have recently been awarded the 2017. LOUISVILLE, Colo., September 22, 2017 – Inovonics, an industry leader in high-performance wireless sensor networks for life safety applications, announces the addition of the EN1221S-60WLBU Waterproof Senior Living Pendant with Long Wristband to its pendant portfolio. 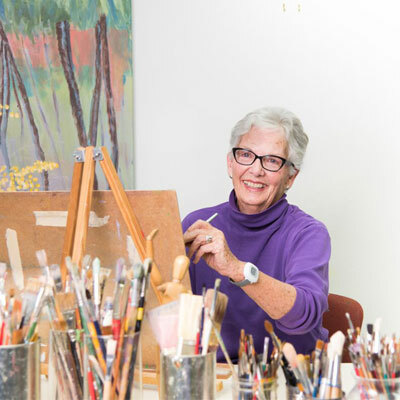 It’s designed for use in Independent and Assisted Living communities for seniors. This new. 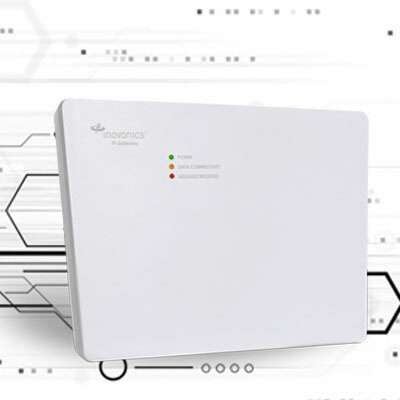 LOUISVILLE, Colo., June 15, 2017 – Inovonics, an industry leader in high-performance wireless sensor networks for life safety applications, announces new UL listings for the EN4204R four zone add-on receiver with relays: UL365, UL636, UL985, UL1023, ULC/ORD-C1023-74, UL1610 and UL1076. In the words of Michael Um, Senior Product Manager: “The. LOUISVILLE, Colo., April 14, 2017 – Inovonics announces the release of its new EN1752 temperature detector, allowing the addition of wireless temperature threshold alarming into any Inovonics system, with no third-party line-powered thermostat or external temperature sensor integration. The EN1752 temperature detector is preconfigured with high and low set points. 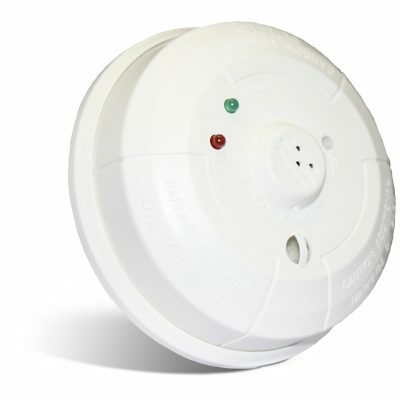 LOUISVILLE, Colo., March 9, 2017 – Inovonics, an industry leader in high-performance wireless sensor networks for life safety applications, announces the release of its new EN1244 wireless smoke detector. The new smoke detector addresses a market need by meeting UL268 (Smoke Detectors for Fire Alarms) and California State Fire Marshall. LOUISVILLE, Colo., March 7, 2017 – Inovonics announces the release of its new EN7017 survey kit and app to give security dealers and integrators a tool to help them quote wireless jobs. 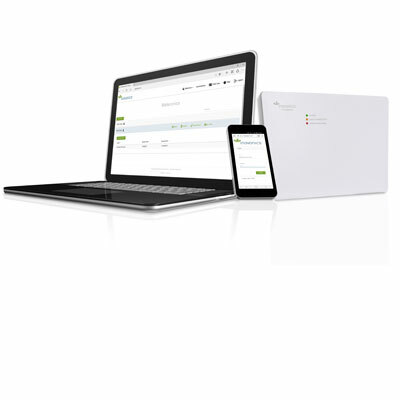 The EN7017 survey kit and app provides security professionals with a wireless blueprint in advance of installing devices,. LOUISVILLE, Colo., February 3, 2017 – Inovonics is proud to announce new chat and text support additions to their technical support offering. 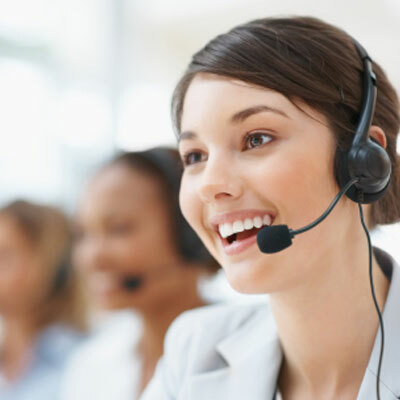 The new live chat support feature appears on the website in the lower right corner of all www.inovonics.com pages and is monitored from 7:00 a.m. to 6:00 p.m..
LOUISVILLE, Colo., January 17, 2017 – Inovonics, the industry leader in high-performance wireless sensor networks, announced today that Sanford Fisher, Great Lakes Regional Sales Manager at Inovonics, has received his Physical Security Professional (PSP®) certification. 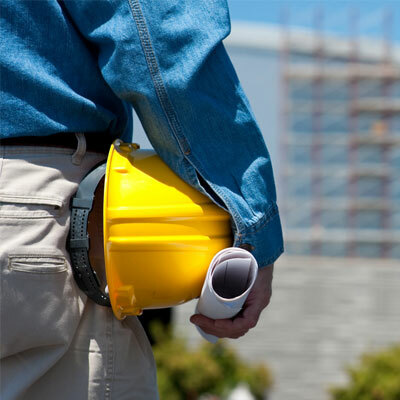 The ASIS PSP® certification demands extensive study and is responsible for training some of the. LOUISVILLE, Colo., December 22, 2016 – Inovonics named as a vendor partner in Littleton Public Schools Project award. Submitted by 3xLogic, this project won gold as the “Best Campus Security Project” recognized in this year’s Security Innovation Awards. 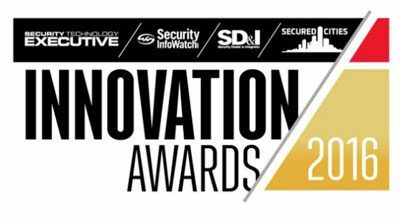 The Security Innovation Awards are open to all vendors, solution providers, integrators,. 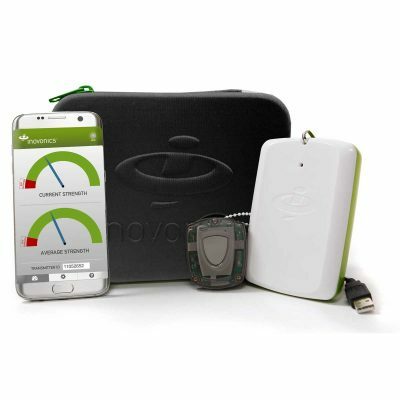 LOUISVILLE, Colo., December 20, 2016 – Inovonics announces the release of its new EN1751 water detector. 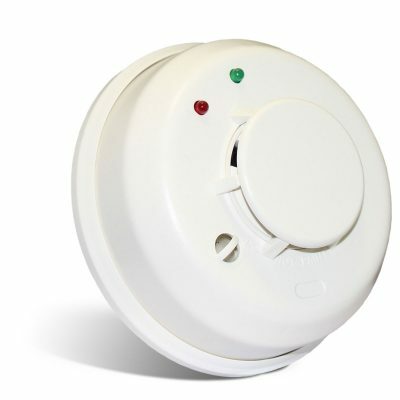 Designed to provide affordable early warning against damage caused by leaking appliances and standing water when used with the Honeywell® FP280 probe. 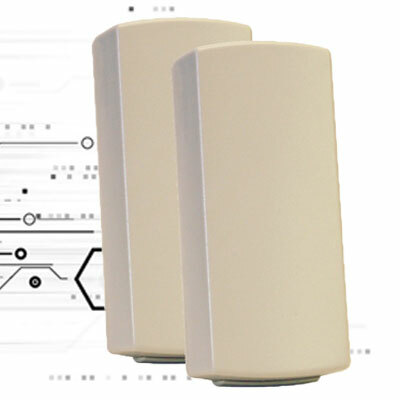 The EN1751 leverages the EchoStream® wireless platform currently deployed in multi-family housing,. 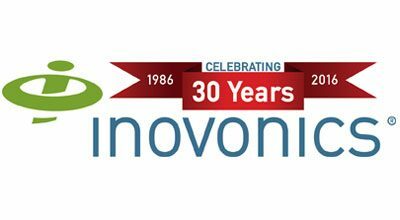 LOUISVILLE, Colo., July 6, 2016 – Inovonics, the industry leader in high-performance wireless sensor networks, announced today that July 2016 marks the 30th anniversary of the company’s founding. In 1985, the FCC passed regulations allowing the civil use of radio bands previously reserved for industrial, scientific and medical use. One. LOUISVILLE, Colo., March 17, 2016 – Inovonics announces the release of its new EN7290 EchoStream® receiver/interface for Honeywell Commercial VISTA panels, designed to add Inovonics commercial wireless endpoints and panic buttons to the Honeywell VISTA-128 and VISTA-250 series control panels. 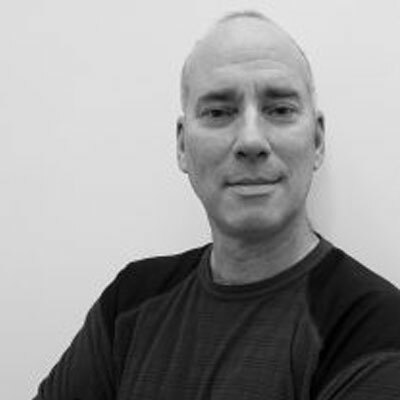 Tony Mucci, Director of Engineering & Product Management at Tyco,. LOUISVILLE, Colo., November 24, 2015 – Inovonics, an industry leader in high-performance wireless sensor networks for security applications, announces a new ESA/NTS CEU accreditation course, titled “Advantages of Wireless for Commercial Security.” This new course will be targeted at dealers and integrators looking to expand their portfolios by adding wireless. 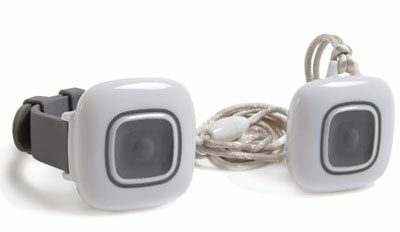 LOUISVILLE, Colo., September 15, 2015 – Inovonics, an industry leader in high-performance wireless sensor networks for life safety applications, announces the release of its new EN1221S-60 waterproof senior living pendant. This new pendant is for independent and assisted living communities, designed to enhance a resident’s ability to call for help..
Security industry leader takes leadership role in educating industry on the need to protect schools and workplaces of all kinds LAS VEGAS, ISC WEST (Booth #16109), April 2, 2014 – Inovonics (https://www.inovonics.com), a leading provider of enterprise life safety and specialized commercial wireless systems, continues its drive for building awareness. Safety improved by threat assessment and faster response times when duress events are matched with video verification. LOUISVILLE, Colo., March 24, 2014 – Inovonics, a leading provider of enterprise life safety and specialized commercial wireless systems, will demonstrate integration of its mobile duress pendants into Milestone XProtect® Enterprise video management. 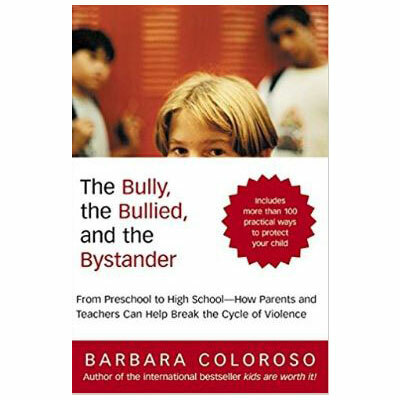 World-renowned author will also speak on school violence during panel session with other K-12 school experts earlier that day at leading security conference LOUISVILLE, Colo., March 17, 2014 – Inovonics, a leading provider of enterprise life safety and specialized commercial wireless systems, today announced that distinguished author and thought leader,. Panel will discuss today’s real-world school culture and offer strategies to keep K-12 students, staff and visitors safe LOUISVILLE, Colo., March 13, 2014 – Inovonics, a leading provider of enterprise life safety and specialized commercial wireless systems, today announced it is sponsoring a panel entitled, “Beyond School Shootings: Everyday Violence. Inovonics and Mercury Security Partner to Deliver Industry’s First PSIA-Based Integrated Access Control and EN6080 Area Control Gateway System for Mobile Duress at ISC West 2014. LOUISVILLE, Colo., March 10, 2014 – Inovonics, a leading provider of enterprise life safety and specialized commercial wireless systems, and Mercury Security, a global. Life safety wireless systems manufacturer is the first to meet the increasing demand for standards-based emergency call system components in senior living settings. LOUISVILLE, Colo., March 3, 2014 –Inovonics, a leading provider of enterprise life safety and specialized commercial wireless systems, today announced that its EchoStream emergency call system components. Inovonics adds industry veteran, Rob Scott, to U.K. sales team LOUISVILLE, Colo., February 24, 2014 –Inovonics, a leading provider of enterprise life safety and specialized commercial wireless systems, today announced it is expanding its presence in the U.K. with increased sales staff to nurture new business and grow a budding. 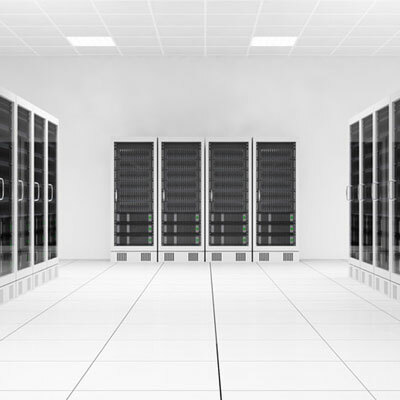 The industry’s first Physical Security Interoperability Alliance (PSIA) compliant intrusion control device providess IP-based interoperability with leading access control, video and area control systems. WESTFORD, MA. September 20, 2013 –– Proximex™, part of the Security Products business unit of Tyco, announced today the integration of its Surveillint™ solution with Inovonics’. First open standards compliant device is recognized for its ability to integrate and manage commercial wireless intrusion devices over an IP network LOUISVILLE, CO, Sept. 4, 2013 – Inovonics, the industry leader in high-performance wireless sensor networks for commercial and life safety applications, today announced it has won Security Product. Kallman brings years of proven success in executive leadership of sales teams and revenue growth for leading companies LOUISVILLE, Colo., Aug. 15, 2013 – Inovonics, the industry leader for wireless commercial and life safety systems, has hired Gary Kallman as senior vice president of global sales. Kallman has extensive. 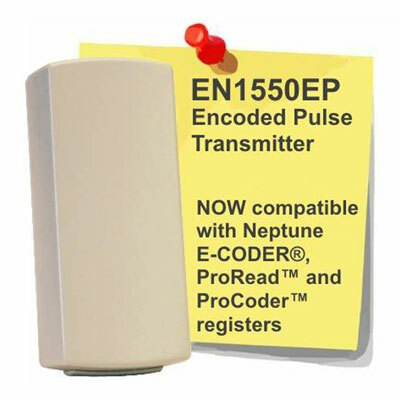 The EN1252 long range dual input universal transmitter offers long-range perimeter and building protection with five times more power than standard EchoStream universal wireless transmitters LOUISVILLE, Colo., Aug. 13, 2013 – Inovonics, the industry leader in high-performance wireless sensor networks for commercial and life safety applications, today announced the release. New submetering system from Inovonics replaces outdated analog phone connections with secure, hosted and browser-based administration of utility recovery in multi-family housing LOUISVILLE, CO., June 19, 2013 – Inovonics, the industry leader in high-performance wireless sensor networks for commercial and life safety applications, today announced the release of TapWatch.com and. EchoStream EN6080 Area Control Gateway from Inovonics Receives Honorable Mention for Intrusion Detection and Prevention Solutions Wireless at SIA’s 2013 New Product Showcase at ISC West Louisville, CO– April 16, 2013 – The EchoStream EN6080 Area Control Gateway (ACG) from Inovonics was recognized at the Security Industry Association’s 2013 New Product Showcase. New product by Inovonics combines first PSIA-compliant area controller with Internet protocol and Inovonics commercial wireless mesh network ISC WEST – LAS VEGAS, April 10, 2013, (Booth #3127) – Inovonics, the industry leader in high-performance wireless sensor networks for commercial and life safety, today launched the EchoStream EN6080 Area Control. Inovonics to exhibit, demo new technology that supports PSIA open standards, along with partners Proximex, Optex and 3xLOGIC LOUISVILLE, Colo., April 2, 2013 – Inovonics, the industry leader in high-performance wireless sensor networks for commercial and life safety, today announced it will be unveiling its latest security offering at ISC. 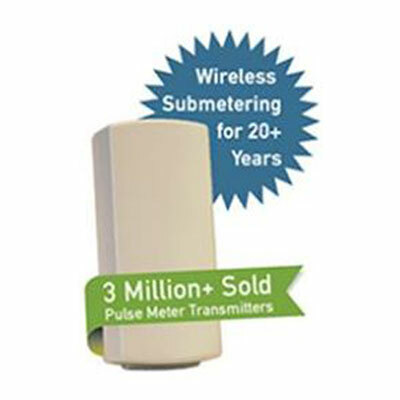 Albuquerque retailer’s operations had come to a screeching halt several times due to copper wire theft until it installed a reliable wireless sensor network LOUISVILLE, Colo., June 13, 2011 /PRNewswire/ — Inovonics, the industry leader in high-performance wireless sensor networks for commercial and life safety applications, said today it partnered. INOVONICS AND OPTEX SELECTED BY AQUA WATER SUPPLY TO PROVIDE A PERIMETER SECURITY SOLUTION FOR WATER TREATMENT FACILITY Latest installment demonstrates increasing demand and proven success of integrated wireless perimeter security system for municipal and commercial applications LAS VEGAS (ISC West, Booth #8035), April 6, 2011 – Inovonics, the industry. Integrated outdoor perimeter security solution protects construction sites from theft, vandalism LAS VEGAS (ISC West, Booth #8035), April 6, 2011 – Inovonics, the industry leader in high-performance wireless sensor networks for commercial and life safety applications, together with Optex, the world leader in outdoor perimeter security, have become the wireless. 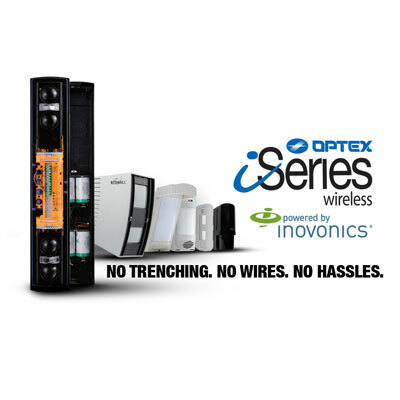 Boulder, CO, December 20, 2000—Inovonics Wireless Corporation today announced that one of their largest distribution partners, Viterra Energy Services, has just purchased their 100,000th Inovonics transmitter. Viterra, the largest submetering service provider in the world, has installed Inovonics’ TapWatch™ wireless submetering system since 1998. Viterra Energy Service’s unique Istameter and.